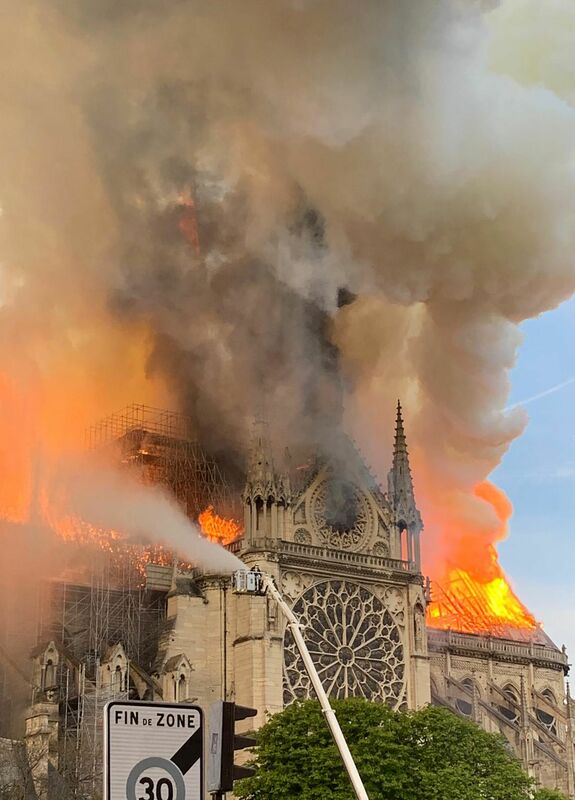 A terrible fire has toppled Notre Dame's spire and is expected to burn the entirety of its wooden interior. 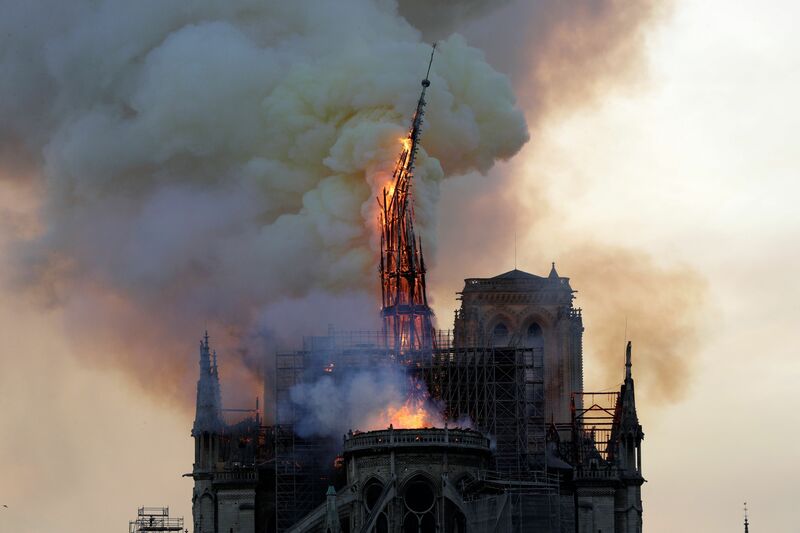 "Everything is burning, nothing will remain from the frame,'" the AP quotes Notre Dame spokesman Andre Finot telling French media. 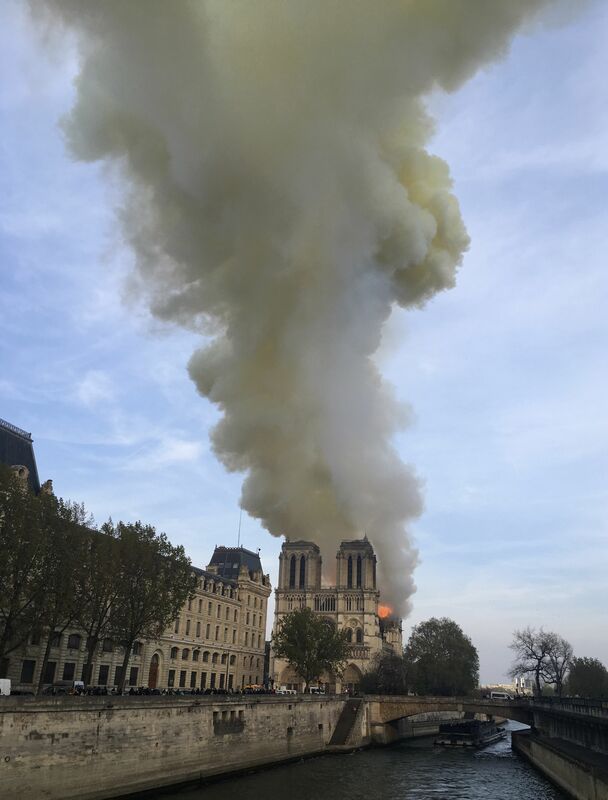 The church's spire was undergoing a renovation project, and French media reported that Paris' fire department said the fire was "potentially linked," per the AP. 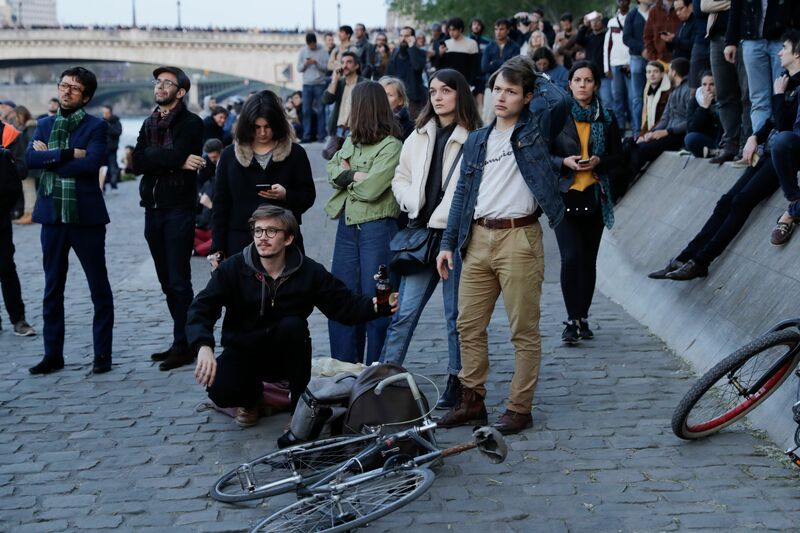 "The French police rushed in and started blowing whistles, telling everyone to move back." 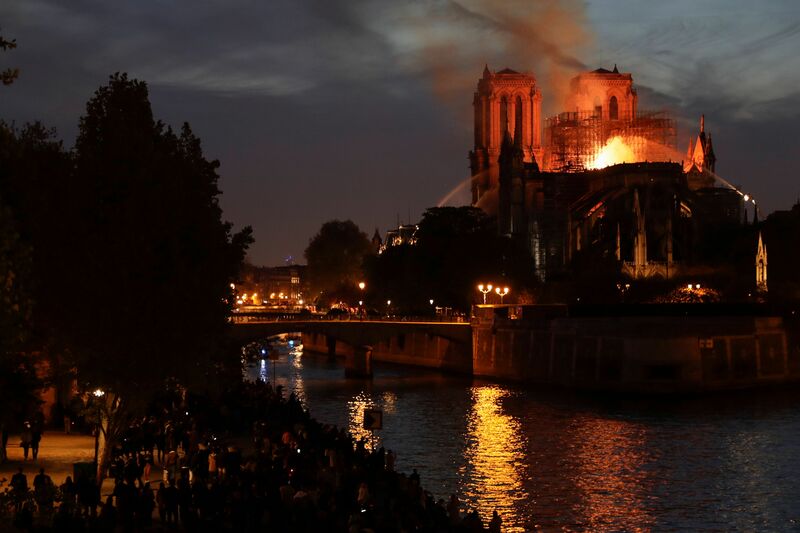 "Tourists and residents alike came to a standstill ... 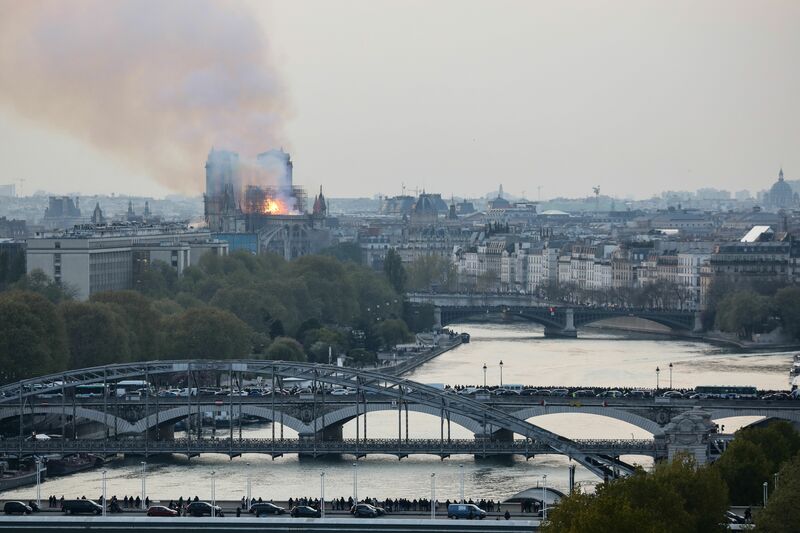 Older Parisians began to cry, lamenting how their national treasure was quickly being lost." 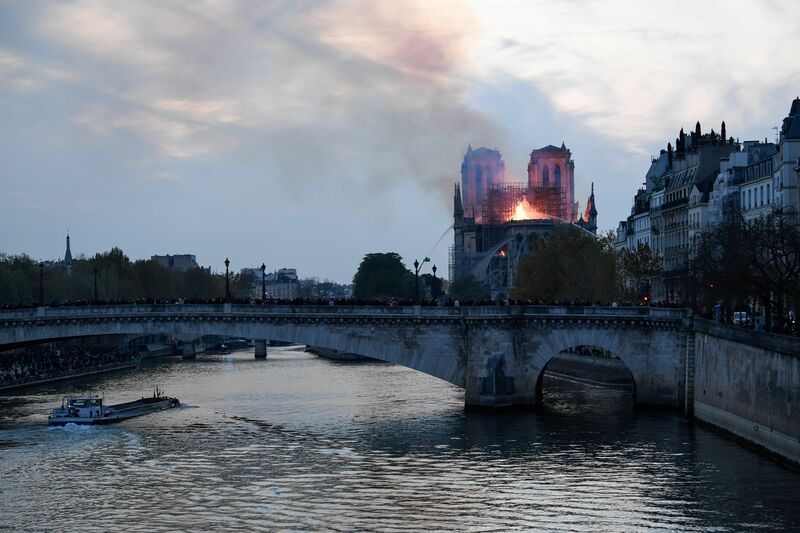 AP: "Hundreds of people on bridges around Notre Dame in Paris, watching in shock as fire engulfs the famed cathedral." 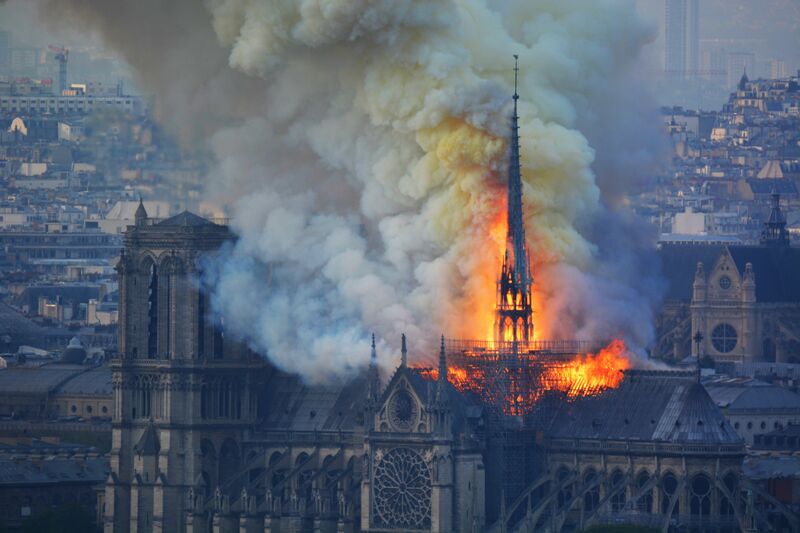 The bottom line: "Our Lady of Paris in flames. Emotion of a whole nation. Thought for all Catholics and for all French. 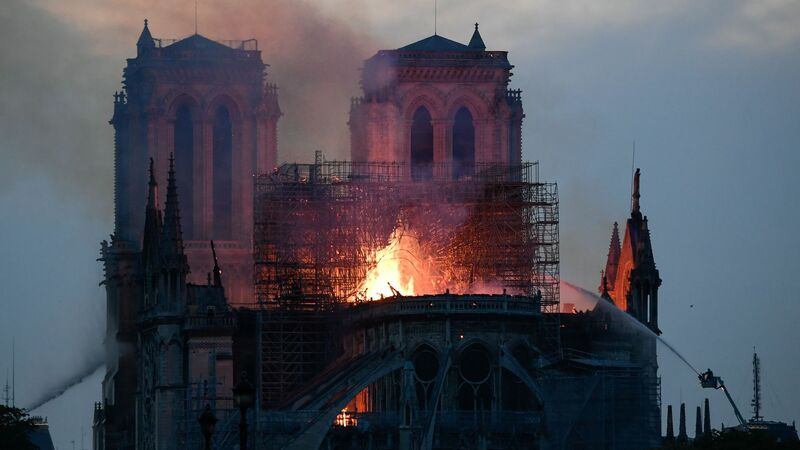 Like all our countrymen, I'm sad tonight to see this part of us burn," French president Emmanuel Macron tweeted. A redacted version of special counsel Robert Mueller's report is expected to be released on Thursday morning. Measles cases in the U.S. jumped last week, with 90 new confirmed cases. Go deeper. The death toll from Cyclone Idai has climbed above 1,000, with more than 2 million affected by the storm, which struck the coast of Mozambique on March 14, Reuters reports. Average temperatures ticked upward last month to rank as one of the top 3 warmest Marches on record, new data from climate groups in Europe, Japan and the U.S. shows. Go deeper. "A 100-year-old yoga instructor has no plans to stop practicing and teaching," the AP reports. "Tao Porchon-Lynch said she first encountered the ancient practice at age 7 in her native India. Strolling along a beach, she was transfixed by a group of boys doing yoga poses." "When her aunt told her the movements were 'not ladylike,' she responded, If boys can do it, I can do it.'" Thank you for reading, and please share Axios AM and PM with your friends, coworkers and loved ones.